According to a new study, the romantic relationships we have in our teens have little impact on our ability to communicate and successfully build romantic relationships as adults. Instead, the friendships we form as teens have a much greater impact on romantic success and satisfaction later on. Researchers from the University of Virginia and James Madison University conducted a long-term study to better understand what factors best predict romantic success as adults. It’s been previously established that someone’s physical and mental health as a teen has a strong influence on romantic partnerships later on. However, for this study the researchers wondered whether romantic relationships or friendships had a greater impact on future romantic success. The research was published in the journal Child Development. For the study, 165 adolescents ages 13 to 30 participated in the research and the participants were racially, ethnically, and socioeconomically diverse. The researchers interviewed each participant and conducted interviews each year over the course of three years as participants who were in their teens at the start of the study reached their late 20s. Participants discussed their social lives, friendship, and romantic partners as well as dating history. When the participants were in their late 20s, the researchers also asked about satisfaction with their current romantic life. The team identified several key trends and found that friendships were a much stronger predictor of romantic success at ages 27 to 30. Teens at 13 who were able to openly establish relationship expectations with their friends had greater romantic success later on. At 15 and 16, the researchers found that the ability to form close friendships and maintain a diverse social circle was another strong predictor. As the participants progressed into adulthood, the ability to maintain close and stable friendships was a key indicator of romantic success later on. Friendships had the biggest influence on romantic success later on compared to any other factors including adolescent romantic relationships. 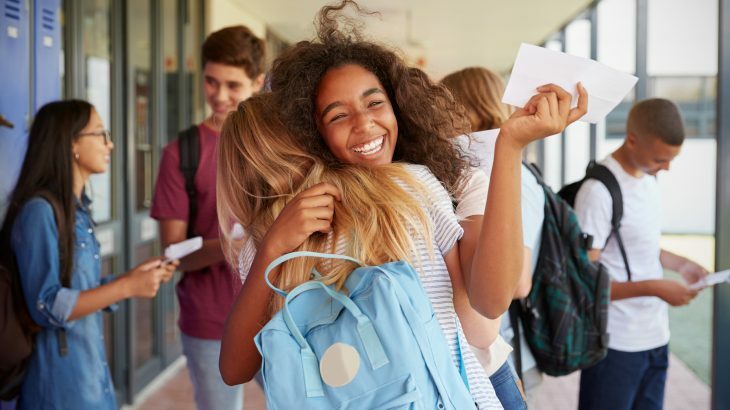 “Romantic relationships in adolescence are much more likely to be fleeting, and as such, they don’t appear to be the main way teens learn skills needed for the future,” said Rachel K. Narr, a co-author of the study.